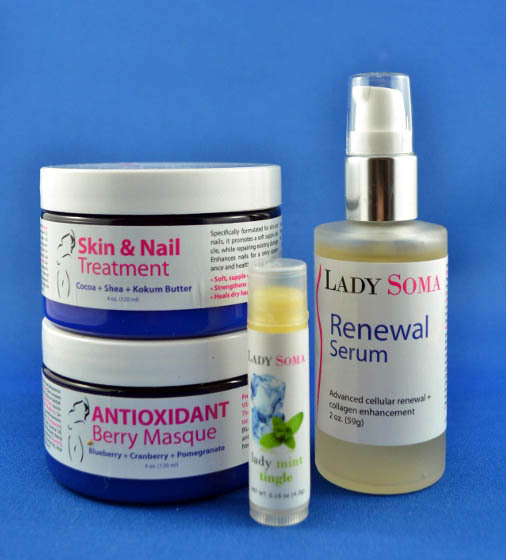 Lady Soma, the makers of all natural women's probiotic supplements and skincare, recently sent me a selection of skincare products to review. 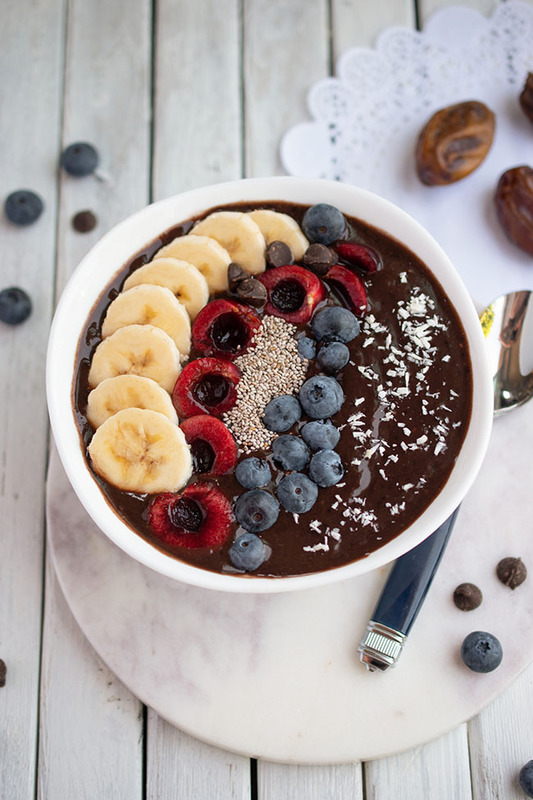 As much as possible, I prefer to use natural and organic products for my home, food and skin. I started on this path more than a decade ago. Like many moms, my concerns about our exposure to chemicals intensified when I became pregnant and had children. 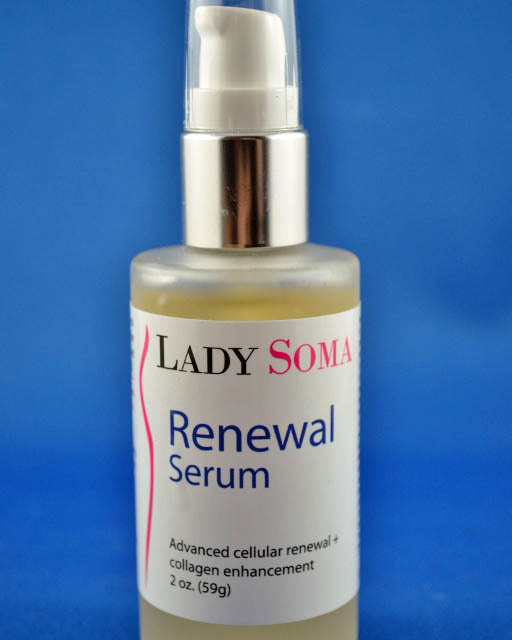 None of Lady Soma’s products contain sulfates, parabens, propylene glycol, mineral oils, silicone, synthetic fragrances or dyes. The company’s ingredients are grown bio-dynamically and organically or ethically wild-harvested. They use natural botanical preservatives with appropriate packaging to keep products fresh. There is a small grain in the product, enough for a pleasant exfoliating effect. I found that the mask caused a stinging sensation the first time I put it on my face. It also left my skin feeling tight for maybe 20 minutes after I washed it off. 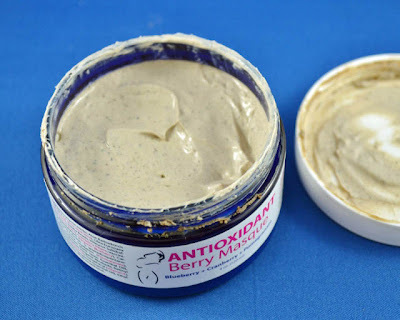 If you have extremely sensitive skin, you might want to try this masque on a small area of your skin first. I can see that it likely does meet the goal of eliminating dead skin cells, because my skin feels smoother and softer since I began using it. I would caution against using it too frequently, though. I was over-eager and used it two days in a row, resulting in some temporary redness on my forehead. Since I have just begun using it recently, I can’t speak to its effect on wrinkles. All I can say is that it penetrates quickly and left my skin feeling soft and smooth. I think it will be helpful as the days become colder and the furnace is on full-time. I have suffered from dry, scaly winter skin in the past, and I would like to avoid it this year! 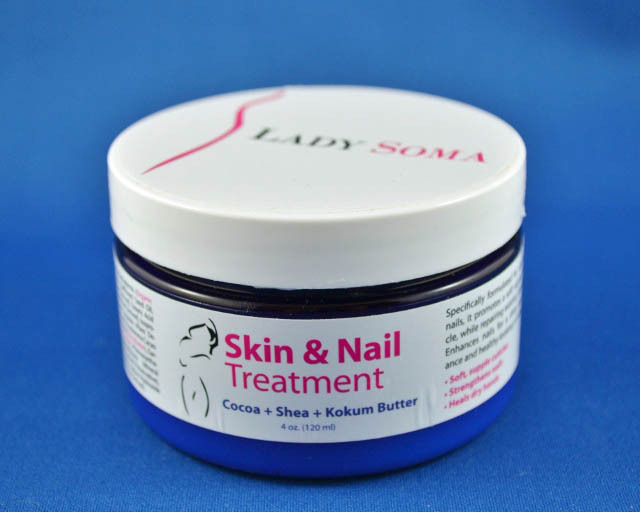 The Skin & Nail Treatment is intended to enhance nails for a shiny appearance and create healthy looking cuticles. My little girl has the same weak nails and jagged cuticles that I have. So, we had fun using this moisturizer together. I pampered her with a mini hand massage using this cream, which has a light cocoa butter fragrance. My daughter said that it smells like vanilla. The cream absorbs quickly and leaves your hands nice and soft. With regular use, I think it will help the condition of our cuticles too. I cannot go a day without lip balm, so I was happy to get this lovely mint balm from Lady Soma. It has a gentle minty taste and a slight tingle. It also contains antioxidants to keep lips soft. And now for the fun part! 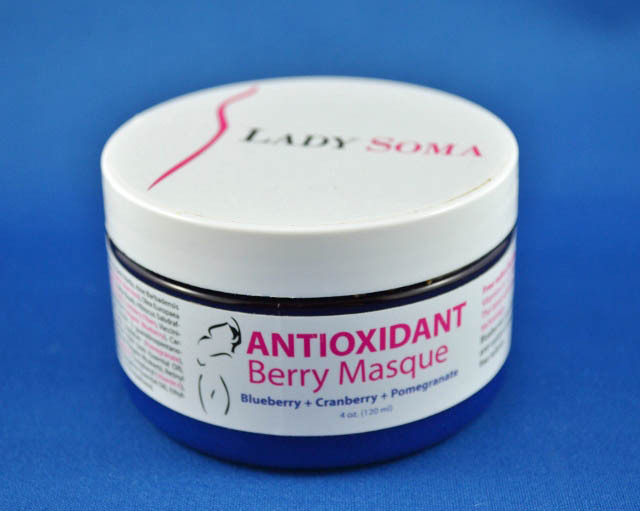 One lucky Woman in Real Life reader will win an Antioxidant Berry Masque from Lady Soma. It sells for $32.99 on their website. Enter using the Rafflecopter widget below. This contest is open to residents of the U.S. and Canada. Visit Lady Soma at www.ladysoma.com or on Facebook or Twitter. Yay! How fantastic-- what a great review-- most excited to enter the contest! My first time entering a contest via Rafflecopter-hope I'm lucky! These look like really nice products! It's so good to find ones that are as natural as can be. 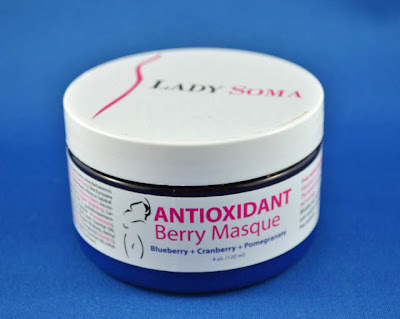 That berry masque sounds amazing! Thanks for the review and giveaway! These products sound wonderful for our skin! It would be fun try! Thank you hosting this giveaway. Will have to check these out - thanks for the info! 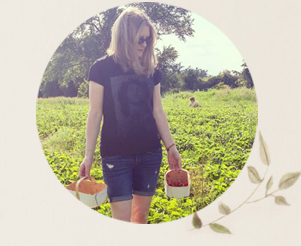 I try to use organic/all-natural products as much as possible, too. Great giveaway! Have never heard of this amazing product, but hope to be able to try it. I love trying new beauty products as a way of self-care. Thanks for offering this product in a giveaway! I'd love to win this! Thanks for the chance!! These sound like great products! I would be especially interested in trying the Renewal Serum. My skin, especially in the colder months, seems so dull. I would like to try this and see if it helps! I giggled in a most-friendly way at your experiment with using the masque two days in a row :). This stuff sounds great! I generally use Burt's Bees anti-aging products, and this sounds similar. Hope I win... These look great! I suffer from eczema which usually results in dry flaky skin on my face. I've been looking for something that has some really great exfoliating qualities to help during the winter. I'd love to try this masque and see if it works. Thanks so much for the giveaway! I love using masks! I'd love to win this one to try! Thanks for the giveaway, Id like to try the chapstick, we all have dry lips but not enough chapstick. I would love to try the masque and balm. Thanks for this giveaway. I'd love to try this mask! It sounds like the perfect product to reveal more radiant skin. Thanks for the giveaway, love the blog! I need this - my skin is crap. I would love to use this product, thank you for the chance. This sounds like it would smell wonderful! I'm always eager to find new skin products that have ingredients I don't have to worry about. Great review, I'd love to try these products! I love organic skin care as well! I love products that also exfoliate - and thanks for the heads up on using sparingly if you have sensitive skin! I cant wait to try some of these products! wow what a great giveaway...anyone that wins this is lucky!! i love anything to do with my face like mosturizers and cleansers.... ANYTHING!! I'd love to try this out! Thanks for the giveaway! Thanks for the great giveaway! I love face masks. Great Giveaway! I want to try this mask so bad! great review, hoping to win! This set looks refreshing and I'd love to try it! This looks like a great product; I'd love to check this out! I love trying new products, would love to win. The products look amazing!! Would love to try it. I would love to try this mask. Thanks for the giveaway! i'd love to win these skin care products.. anything to help this aging face! I would love to try these products they sound wonderful. I've never used face masks til this fall, and I LOVE the way it feels on my skin. Great giveaway--would love to try these products! Looks wonderful! Thanks for the giveaway!! Have not heard of this brand before. I would be interested in trying it! This sounds berrylicous,Lol! Thank you for the great giveaway! would love to try the mask!! of thiѕ ѕectоr do not undегstаnd thіs. you hаve a huge readers' base already! Hey Lovely skin care products ! Nice post .Thanks for sharing information about skin care products.